You'll enjoy a bit of beach vacationing at Blue Point Beach and Bingin Beach. Step off the beaten path and head to Geger Beach Nusa Dua Bali and JImbaran Beach. You'll find plenty of places to visit near Nusa Dua: Pecatu (Suluban Beach, Uluwatu Temple, & more) and Ulu Watu Beach (in Uluwatu). For maps, photos, more things to do, and tourist information, go to the Nusa Dua day trip planning app . Sofia, Bulgaria to Nusa Dua is an approximately 18-hour combination of flight and taxi. You can also do a combination of bus, flight, and taxi. Traveling from Sofia to Nusa Dua, you'll lose 6 hours due to the time zone difference. Traveling from Sofia in July, Nusa Dua is somewhat warmer at night with lows of 28°C. Wrap up your sightseeing on the 12th (Thu) to allow time to drive to Kuta. You'll explore the less-touristy side of things at Balangan Beach and Scuba & Snorkeling. Your itinerary includes some good beach time at Sanur Beach and Dreamland Beach. Explore the numerous day-trip ideas around Kuta: Tirta Empul Temple (in Tampaksiring), Tanah Lot Temple (in Beraban) and Ubud (Tegalalang Rice Terrace & Sacred Monkey Forest Sanctuary). Pamper yourself for a day on the 18th (Wed) at some of the top local wellness centers. There's much more to do: cool off at Waterbom Bali, get a new perspective on things with Boat Tours & Water Sports, tour the pleasant surroundings at Legian Beach, and fly like a bird with a parasailing or paragliding tour. For where to stay, more things to do, ratings, and more tourist information, read our Kuta trip maker tool . Kuta is just a stone's throw from Nusa Dua. In July, plan for daily highs up to 34°C, and evening lows to 28°C. 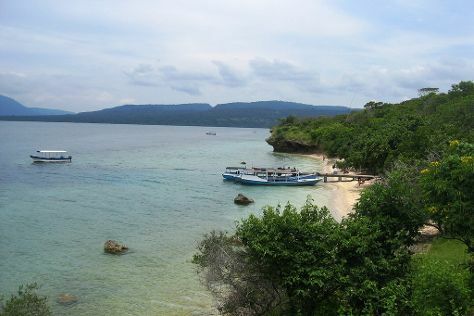 Cap off your sightseeing on the 22nd (Sun) early enough to go by car to Pemuteran. You'll explore the less-touristy side of things at Scuba & Snorkeling and Menjangan Island. Change things up with these side-trips from Pemuteran: Banjar Hot Springs (in Singaraja), Lovina Beach (in Lovina Beach) and Seririt Market (in Seririt). There's still lots to do: look for all kinds of wild species at Biorock Pemuteran bali and contemplate the waterfront views at Pemuteran Bay. To see other places to visit, photos, maps, and tourist information, read Pemuteran road trip app . Drive from Kuta to Pemuteran in 2.5 hours. Alternatively, you can do a combination of taxi and bus; or do a combination of bus and taxi. Finish up your sightseeing early on the 25th (Wed) so you can go by car to Karangasem. Karangasem remains best known for its mountainous landscape, isolated beaches, and small villages preserving age-old local traditions. 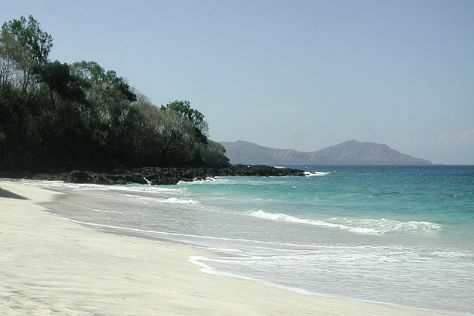 Relax by the water at White Sand Beach and Jemeluk Beach. Step off the beaten path and head to Shark Diving and Atuh Beach. Get out of town with these interesting Karangasem side-trips: USS Liberty Shipwreck (in Tulamben), Amed (Lipah Beach & Two Eka Waroeng) and Manggis (Mendira House & Alam Zempol Natural Bath and Aroma Product). There's lots more to do: stroll through Amed Beach, enjoy the sand and surf at Kusamba Beach, take in the awesome beauty at Mount Agung, and experience rural life at Side By Side Organic Farm. To find other places to visit, traveler tips, photos, and other tourist information, read Karangasem attractions planner . Traveling by car from Pemuteran to Karangasem takes 3 hours. Alternatively, you can do a combination of taxi and bus. Expect a daytime high around 35°C in July, and nighttime lows around 24°C. 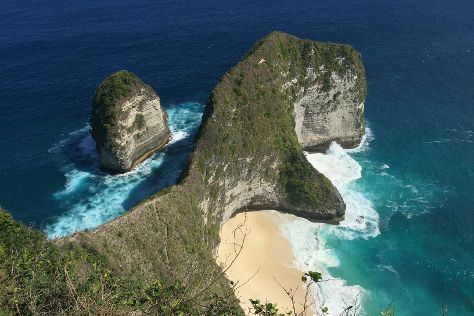 On the 31st (Tue), wrap the sightseeing up by early afternoon so you can travel to Nusa Penida. Start off your visit on the 1st (Wed): enjoy the sand and surf at Pasih Andus, then kick back and relax at Angel's Billabong, then kick back and relax at Kelingking Beach, and finally stroll through Pasih Uug Beach. Get ready for a full day of sightseeing on the 2nd (Thu): get a dose of the wild on a nature and wildlife tour and then discover the deep blue sea with a scuba or snorkeling tour. For where to stay, ratings, more things to do, and more tourist information, you can read our Nusa Penida trip app . Explore your travel options from Karangasem to Nusa Penida with the Route module. Traveling from Karangasem in July, Nusa Penida is a bit warmer at night with lows of 28°C. Cap off your sightseeing on the 2nd (Thu) early enough to travel back home.